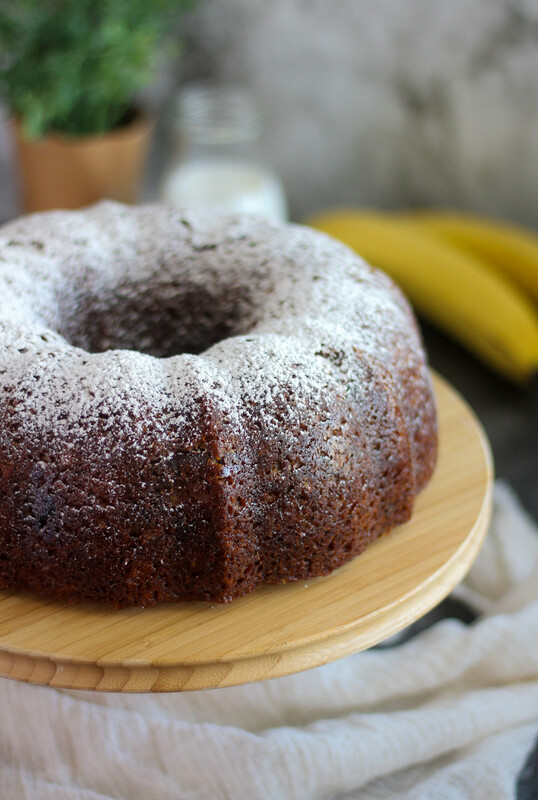 This Chrissy Teigen Banana Bread Bundt Cake is the most gooeyest, scrumptious banana bread known to man. The coconut, chocolate and nuts have you wanting bite after bite. Oops I did it again. Oh boy it’s hard to get back into posting once you’ve taken a break. 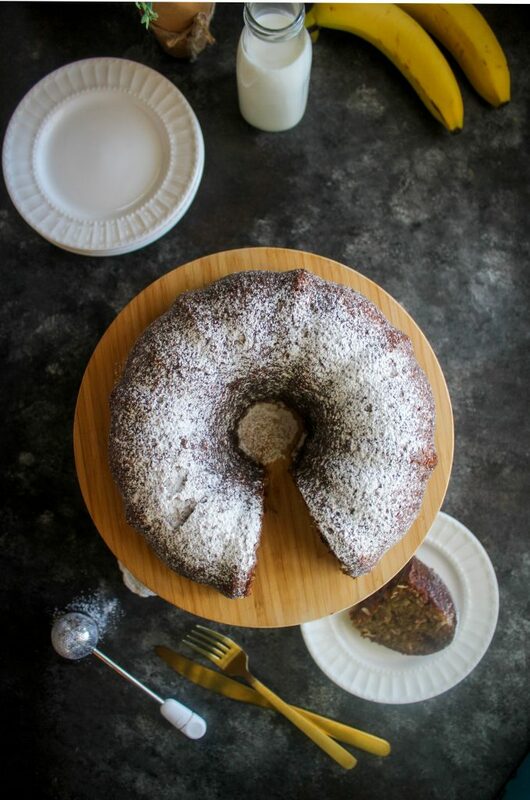 But this Chrissy Teigen Banana Bread Bundt Cake was enough to get me back in here. I don’t even know how I first saw this recipe (I’m on a budget so I haven’t bought her last cookbook yet) but when I saw this recipe I was intrigued. 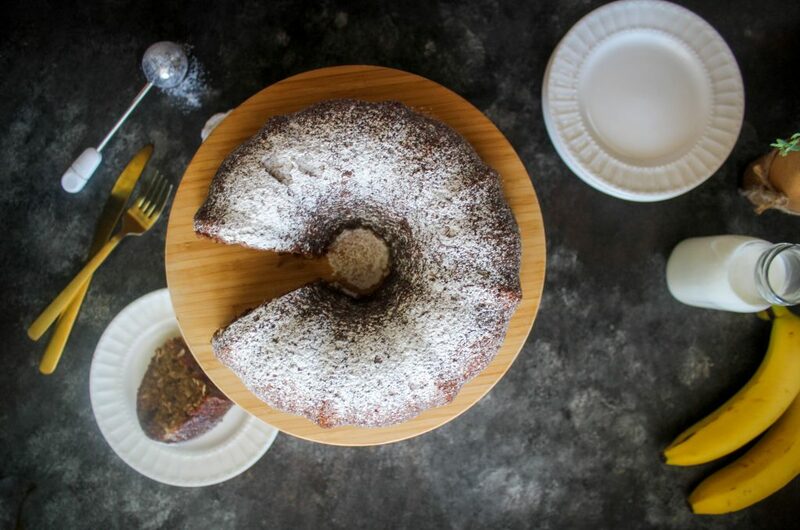 Coconut and chocolate in a banana bread baked in a bundt pan? Yes, please. I made it once and thought it was underbaked because it was so gooey. I took it to work and everyone went crazy over it. I made it a second time to take some home to my folks and they went crazy over it. I finally did my final test on it and while it’s still super gooey, that is just how it is meant to be, perfection. You guys. 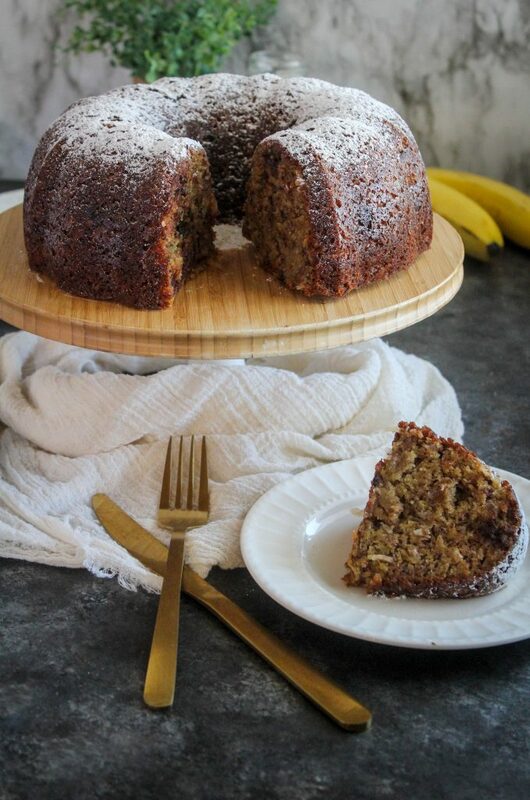 I have lots of banana bread recipes on here and will still make those, but for those special times you want to impress people, you have to make this cake. Don’t leave out the coconut or the chocolate. Use chocolate chips if you aren’t a fan of dark chocolate, it will be fine I promise. My niece isn’t a fan of dark chocolate so I lied to her and told her it wasn’t dark chocolate and she loved it! This will be on our Easter dinner table this year and I can’t wait to have it again! Every person who has eaten a slice has said it is the best they ever had. Hands down. Chrissy Teigen really knows her stuff. And because I couldn’t leave well enough alone, I changed it up a bit by using sweetened coconut because I can’t follow instructions, and also added some pecans. Duh. 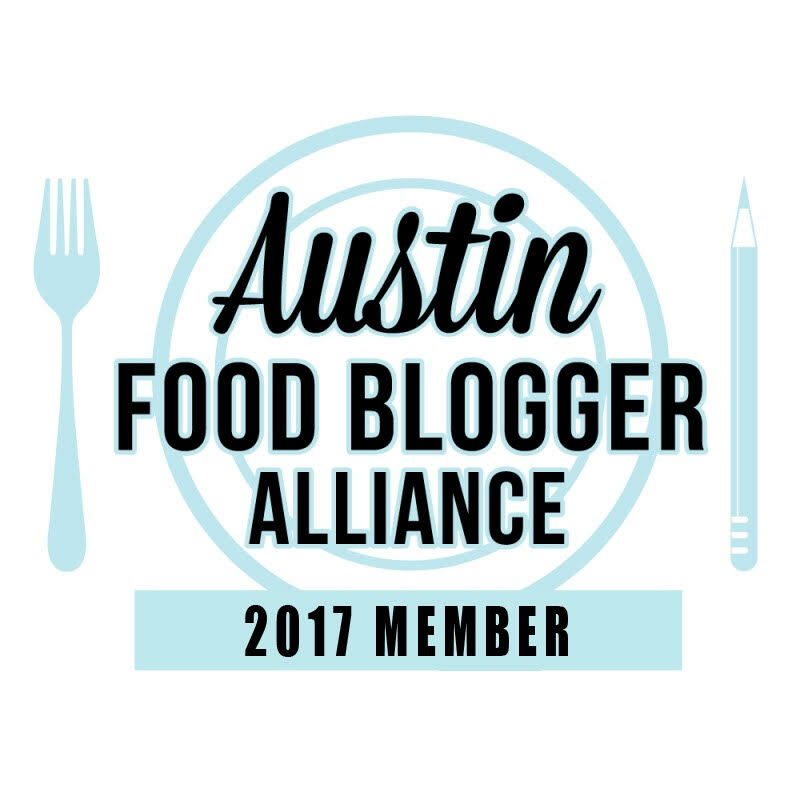 I’m from Texas where pecans are always in our pantry. I also added some vanilla and sprinkled some confectioners sugar on top to try and conceal the little pieces I left in the pan. Doh! If you aren’t on a budget, go ahead and get Chrissy’s cookbook, Cravings: Hungry for More here. If you buy it from that link, Amazon will give me a tiny commission and maybe I can buy my own! While you are there, go ahead and pick up this little Oxo dusting wand because you need it. In a large bowl, combine bananas, eggs, vanilla and oil and whisk until thoroughly mixed. In a separate bowl, whisk flour, sugar, pudding, baking soda and salt. Add to wet ingredients and stir to combine. Fold in coconut, chocolate and nuts. 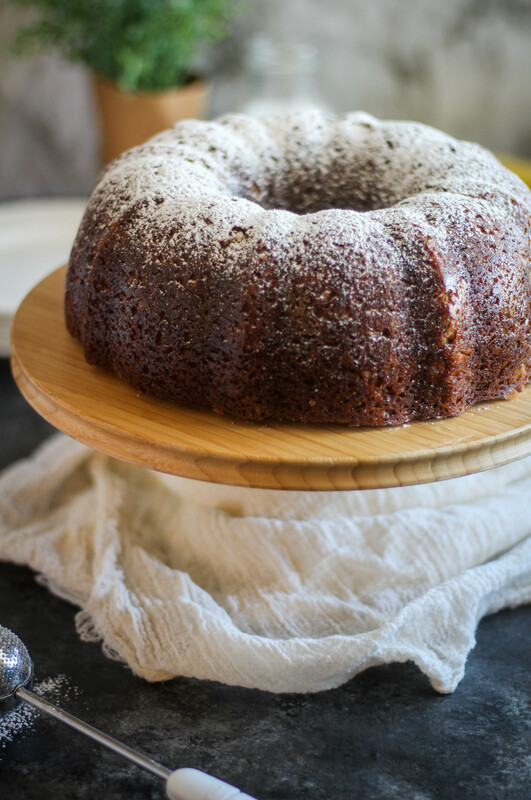 Generously spray a bundt cake pan with baking spray. Pour batter into pan. Place in oven on the top rack and bake for up to 1 hour and 15 mins. Test at 50 minutes. Cake is done when cake springs backs when lightly pressed and a toothpick inserted into the center of cake comes out clean.